When it comes to modems, it’s easy to make the wrong purchase. It’s easy to get into the habit of renting a modem from your ISP because they do all of the work for you. But if you’re looking for faster speeds or to stop paying your ISP monthly for a subpar modem, you’ll need to dive into the market. Diving into the modem market isn’t that scary with a little bit of help. Your ISP has a list of acceptable modems, but your router is only compatible with some of those. Likewise, if you pick the wrong modem, you won’t be able to take advantage of the speeds your ISP offers, and you’ll unintentionally bottleneck your connection. Luckily, we’ve assembled this guide to explain to you the differences between two of the most trusted products on the market: the SB6183 and the SB6190. The “SB” stands for SURFboard – the term that the manufacturer, Arris, found fitting for the speeds that these modems offer. 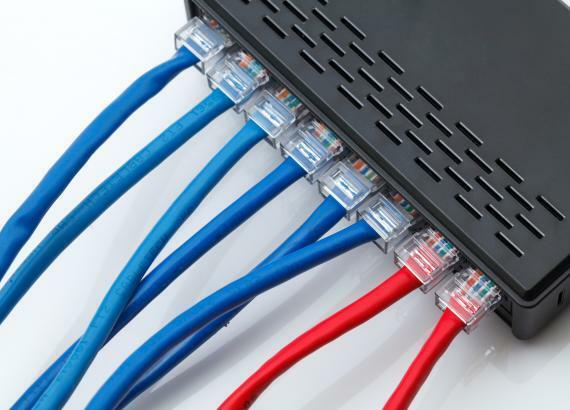 Buckle up, and we’ll walk you through the ins and outs of each modem so that you know which one is right for your home network. Modern modems have some features which tend to be confusing for lay users to understand. This complexity makes it very hard to objectively evaluate which modem is the right choice. In this section, we’ll walk you through a couple of the most important concepts to understand so that you won’t feel like you’re in the dark when you see modem features. DOCSIS stands for Data Over Cable Service Interface Specification. In short, DOCSIS is a standard adopted by telecommunications companies which describes how data is provisioned and which hardware pathways data on the internet is allowed to use. In short, there are several iterations of the DOCSIS standards; the current iteration is DOCSIS 3.1. Each iteration of the standard has certain requirements before a product is an adherent to the standard. Regarding modems, the DOCSIS standard determines how the modem’s channels – which we’ll get to shortly – link into the destination network as well as the internet source. Devices that meet the newer DOCSIS standards have faster download speeds, faster upload speeds, higher reliability, and lower energy use. The DOCSIS standards supported by your ISP are important. Most ISPs support the latest DOCSIS standard and one major revision prior. This fact means that currently, most ISPs support DOCSIS 3.0 and DOCSIS 3.1; ISPs may also tacitly support DOCSIS 2.0, but they’ll rarely advertise it because they prefer people to use hardware that complies with the newer and more efficient standard. Both of the modems we’ll discuss today are DOCSIS 3.0 compliant. This feature means that these modems are broadly compatible with what most ISPs prefer, but also that they’re the closest to obsolescence. Don’t worry; your modem doesn’t become useless as soon as the new DOCSIS standard is implemented. It means that your ISP will promote devices which use the newer standards to their users. Long after the new standards are implemented, the ISP will start to revoke support for the oldest modems independently of whether they conform to the standard. But what exactly does DOCSIS regulate? Connection channels. Each modem is capable of a certain number of upstream and downstream channels. Most modern modems have multiple channels in each direction. Channels are redundant by default, which is to say that they carry the same data to ensure that the destination receives exactly what the user wants. Redundancy was a great feature in the early days of internet telecommunications, but now, users want speed. Reliability of data arrival isn’t a concern in most cases. As a result, the concept of channel bonding was created and implemented via the newer DOCSIS standards. Because users prefer to have fast downloads and fast uploads of individual tasks rather than totally equal traffic priority granted to all tasks using the internet, modems “bond” channels together. With bonded channels, the bandwidth is much greater. Rather than downloading one file using one channel’s worth of speed, bonding channels allows for one file to be downloaded with six or more channel’s worth of speed. The more channels your modem supports in each direction, the higher the maximum speeds become. The SB6190 boasts 32 download channels and eight upload channels in comparison to the SB6183’s 16 and four respectively. Not all ISPs provision the way that channels bond in the same way, however. Certain ISPs, like Comcast, handle such a large amount of traffic that they make compromises to retain the integrity of their network. As a result of Comcast’s policies, having more channels isn’t as beneficial with them as it might be with other ISPs. To be clear, more channels always means faster speeds – it’s just that if there’s an ISP on the other end of your connection dictating how fast you’re allowed to go during heavy load times, you won’t get as much mileage for your channels. Likewise, if your router isn’t capable of handling the speed of your connection when channels are bonded, you won’t be getting your money’s worth. While routers seldom explicitly mention channel bonding thanks to their position further down the line, the bandwidth is still important. It doesn’t matter how many channels you have or how you bond those channels together if there’s a bottleneck immediately after the modem. Many people have the reverse problem. Older modems have fewer channels, and so they are a bottleneck on the speed that the user experiences. There’s no way to get around this issue without purchasing a new modem, so be sure to run a speed test to find your bottleneck before purchasing a new modem or router. Now that you understand how channels and channel bonding works, it’s a no-brainer why the SB6190 is twice as fast as the SB6183; it has twice as many of each channel. The SB6183 is an older modem which has the benefit of constant firmware updates since its inception. This modem isn’t the absolute fastest out there, but it has more than enough speed to work efficiently with most internet connections. Notably, this modem isn’t compatible with Verizon FIOS, AT&T, or CenturyLink ISPs. If your ISP supports this modem, it’ll offer you 16 download channels and four upload channels. Your download speed will be at a maximum of 686 Mbps. For uploads, you can expect a maximum of 131 Mbps, but in reality, it will be much lower thanks to throttling by your ISP. This modem is more than sufficient for online gaming and streaming HD video. You should purchase a router that can keep up with the SB6183 – a good choice is the Netgear AC1900, which has a lot of features to take advantage of the modem’s speed. With the right router, the speed of the modem will seem even higher than it is thanks to traffic optimizations and quality of service features to ensure a silky-smooth internet experience. The modem’s firmware is also instrumental in maintaining an unbroken connection. While the SB6183 has a stellar firmware package thanks to constant updates that help it to distribute internet traffic more efficiently, the hardware has remained the same and is somewhat problematic. Unlike other modems, the SB6183 runs hot. It also runs bright. That’s right, the front panel LEDs on the SB6183 are brighter than the moon. Most users won’t have a problem with the bright lights until you consider the overheating issue. Many users have covered the lights on their SB6183 with an old shirt or sock in an attempt to make it less disruptive to their sleep routines. Unfortunately, once the modem can’t effectively vent its heat through its side holes, the heat sink becomes a liability. Heat gets trapped right next to the sensitive parts of the modem, and it can’t escape thanks to the light-reducing measures. Because the modem starts to overheat, the quality of connection drops and may cut out entirely depending on how serious the overheating issue becomes. In the event of a major overheating incident – likely during heavy internet use in a hot room – the modem can even damage its components to the point of self-destruction. Most users won’t have this issue so long as they refrain from covering the modem’s heat vents. The SB6190 is lightning fast and is the right choice for anyone interested in extreme download and upload speeds. It’s hard to find a better modem for gaming or streaming with multiple independent users. Only the most expensive and most generous internet service packages will cause this modem to be a bottleneck. 1.4 Gbps downstream guarantees snappy and responsive downloads no matter what. If you’re planning on downloading files while streaming video and playing online games, this modem won’t let you down. Most of the major ISPs are compatible with this modem, and it offers 32 downstream channels with eight upstream channels. Unlike the SB6183, the SB6190 has the benefit of a slightly newer hardware package which addresses the overheating issues of its predecessor. You should still refrain from covering the modem, but it isn’t as direly important as with the SB6183. The SB6190 needs a great router to take advantage of its speed. If you’re looking for a router, the Netgear AC1900 is a great choice for the SB6190, just like it is for the SB6183, The AC1900’s quality of service features mesh perfectly with the SB6190’s poly-channel downloading and uploading bandwidth. The only real downside of the SB6190 is that it’s still on the DOCSIS 3.0 standard. Using the older traffic standard means that this modem isn’t as future-proof as it could be. Of course, if you purchase this modem, you’ll still get a fair number of years out of it before your ISP requires DOCSIS 3.1 compliance. Regarding ISP compliance, there are a few reports are stating that the modem may be hard to setup with Comcast. Comcast can be problematic because of node provisioning issues on their side. You shouldn’t worry too much about these issues, as they’re only during setup or after a major network reconfiguration on Comcast’s end. The symptoms of this issue are intermittent cutting in and out of your connection without any discernible issue. This modem is naturally very stable, so inconsistent stability is almost certainly an indicator that there is a problem with your ISP’s interaction with your modem. A quick call to customer support and potentially a visit from an ISP technician will resolve the issue promptly. Now that you’re educated about the strengths and weaknesses of each of these modems, it’s time to consider your needs. If you live in a small or medium household with an average speed internet connection, the SB6183 is a great choice. 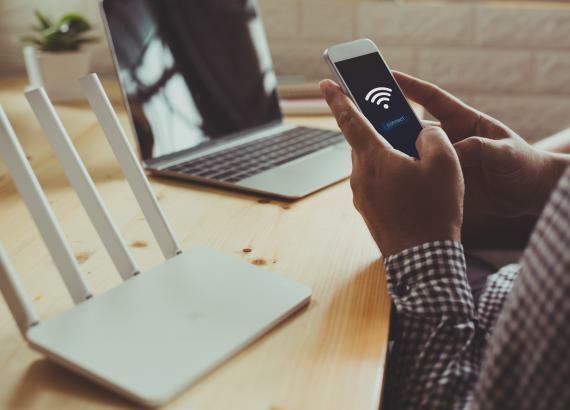 While the modem’s heating issues make it difficult for bedroom use, its speed and stability are more than enough to provide for multiple users doing whatever they please with the connection. On the off chance that you have a blindingly fast internet connection, a router to match, and some users who are interested in streaming HD video while playing video games and downloading, the SB6190 is the better choice. Thanks to the SB6190’s superior speed, it can make the user experience much smoother and snappier than the SB6183. If you use Comcast as your ISP, you may want to take extra care during the period after setup to ensure that everything is working correctly. For this reason, Comcast users may be better served by the SB6183 – but only if higher speeds aren’t worth the hassle of a call with customer service.